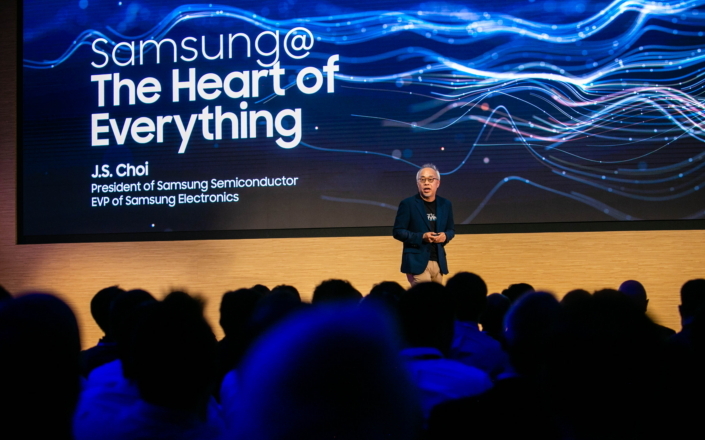 Samsung Electronics, a world leader in advanced semiconductor technology, today announced several groundbreaking additions to its comprehensive semiconductor ecosystem that encompass next-generation technologies in foundry as well as NAND flash, SSD (solid state drive) and DRAM. Together, these developments mark a giant step forward for Samsung’s semiconductor business. 7nm EUV process node from Samsung’s Foundry Business, providing significant strides forward in power, performance and area. 256-gigabyte (GB) 3DS (3-dimensional stacking) RDIMM (registered dual in-line memory module), based on 10nm-class 16-gigabit (Gb) DDR4 DRAM that will double current maximum capacity to deliver higher performance and lower power consumption. Samsung’s new solutions will enable not just faster speeds and higher performance but also improved efficiency for its enterprise clients. Enterprise products on display at Tech Day included D1Y 8Gb DDR4 Server DRAM, which incorporates the most advanced DRAM process, resulting in lower power usage. Samsung’s 256GB 3DS RDIMM also helps to improve enterprise performance and enables memory-intensive servers capable up to 16-terabytes (TB).